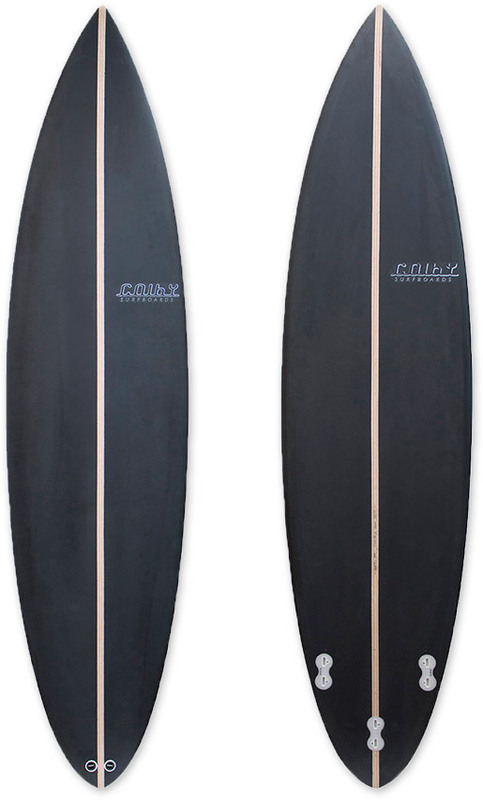 Every serious surfer should have a semi gun, normally ridden 3 – 6 inches longer than you standard good wave board. You will need the extra length and volume when paddling into waves that are moving quicker, the added length and volume under the chest area definitely help when you need to quickly move into position and eliminate those late hanging in the lip take offs. Your semi gun needs to hold its line at high speed and still turn critically when needed. We have added a very slight concave that runs from just in front of the front foot through most of the tail with just a slight vee behind the back fin. Low rails in the tail help when in the barrel.